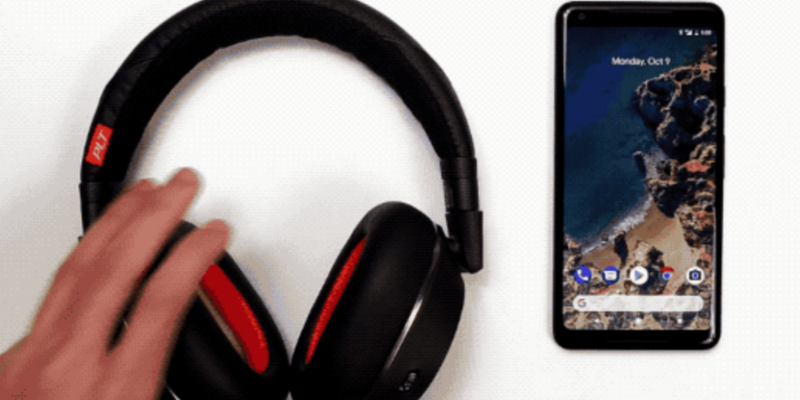 A few days back, Google announced a faster way of pairing headphones and speakers with Android smartphones. Google calls this tech Fast Pair. The new way has changed the way we can pair a Bluetooth headset or speaker with the phone. Google’s Android Fast Pair offers a faster way to connect Android phone to a Bluetooth device. It just takes few seconds and finishes the whole process in just a couple of taps. Fast Pair uses Bluetooth Low Energy (BLE) for discovering Bluetooth headphones or speakers. Then it uses the classic Bluetooth connection to connect. When your Android phone or tablet is near to a Fast Pair supported Bluetooth device, your Android phone will show a prompt to pair the Bluetooth device. You just need to accept it to pair and device will be paired. Android Fast Pair is similar to Apple’s quick-pairing technology that was introduced last year for AirPods. But Google doesn’t want this tech to just its own Pixel buds. So, Fast Pair supports devices with Android 6.0 or higher version. Your phone also needs Google Play services 11.7 or higher. Fast Pair is a quick way of pairing a Bluetooth device. It eliminates the need for users to go into Bluetooth settings, search for new device and pair. So, it will surely help a lot and improve your overall experience. It is just a start and we will soon see more Bluetooth headsets and speakers supporting fast pair. For now, we just have Google Pixel Buds and Libratone’s Q Adapt On-Ear supporting this Fast Pair. So, keep this in mind and check for a Fast pair while buying a new Bluetooth headset or Bluetooth speaker in coming months.